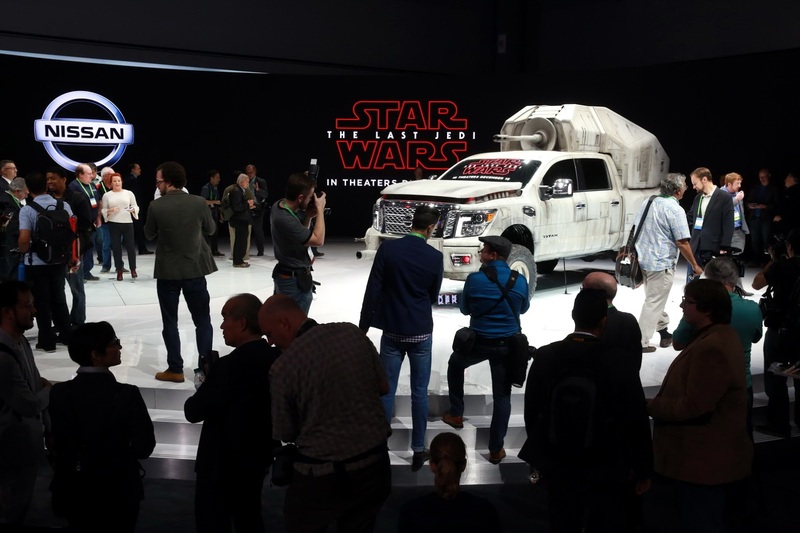 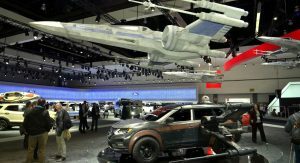 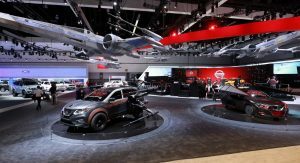 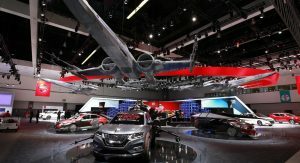 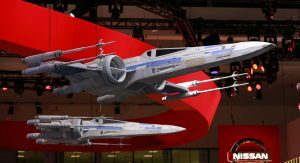 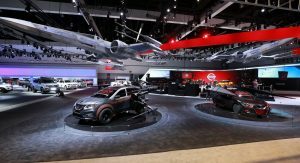 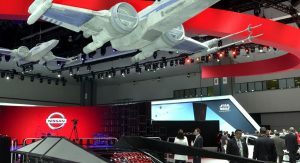 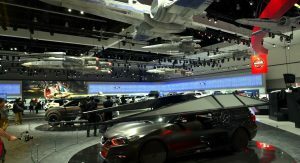 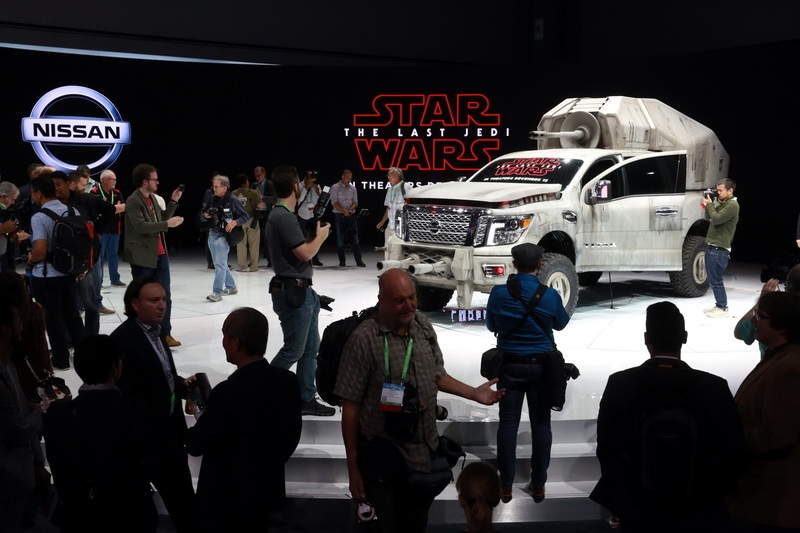 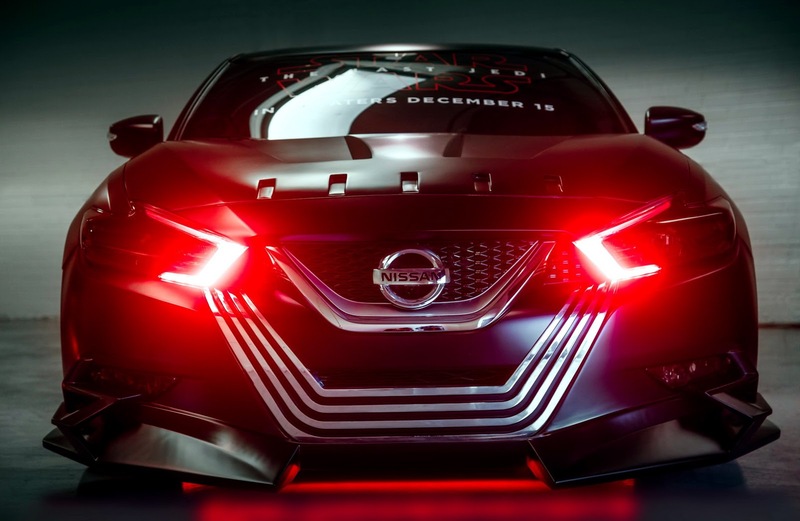 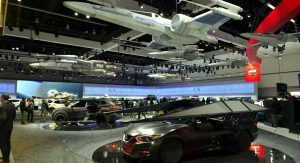 As Star Wars: The Last Jedi inches closer to its release date, Nissan has gone stir crazy in promoting the film, creating seven bold concept cars for the LA Auto Show. 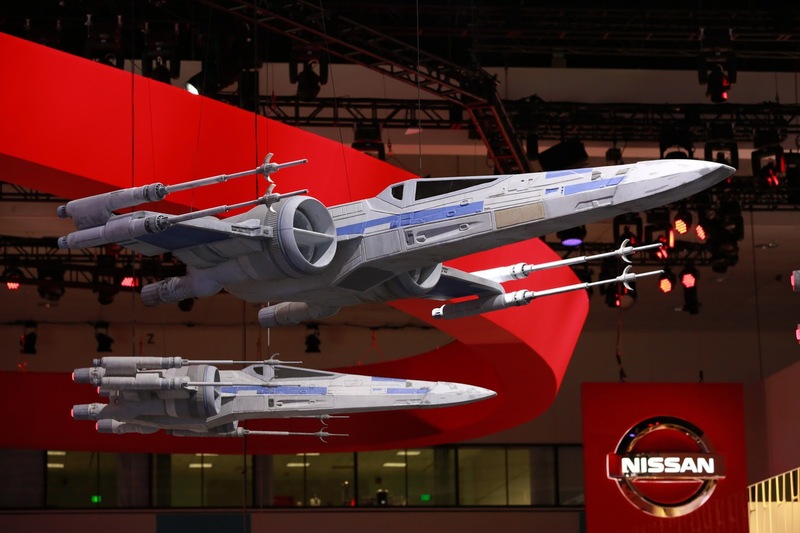 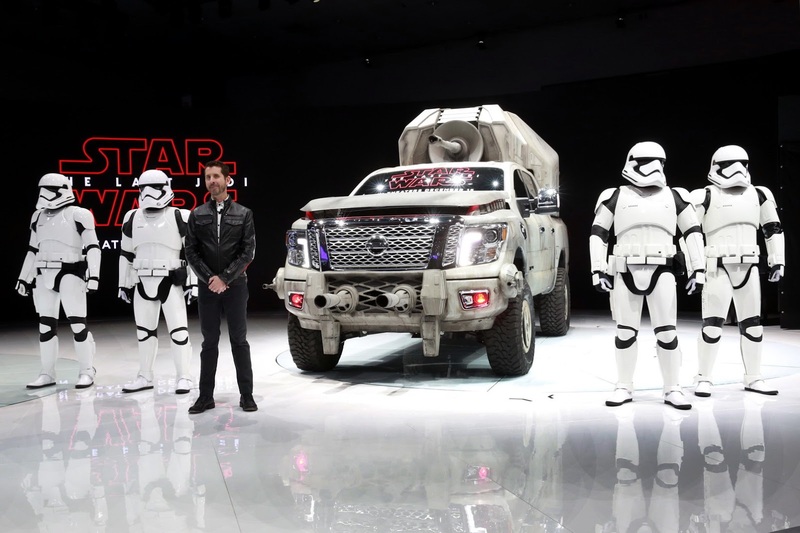 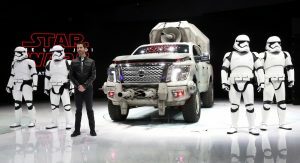 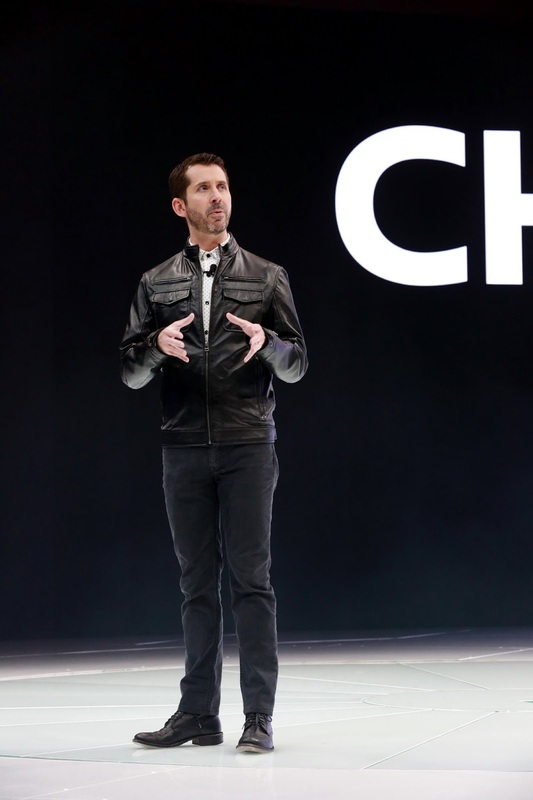 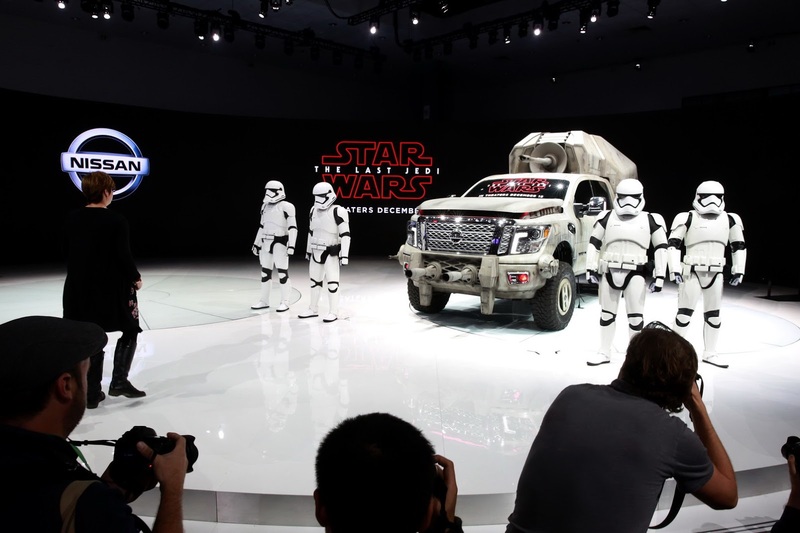 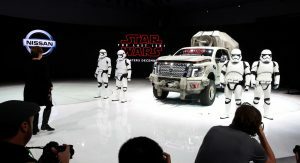 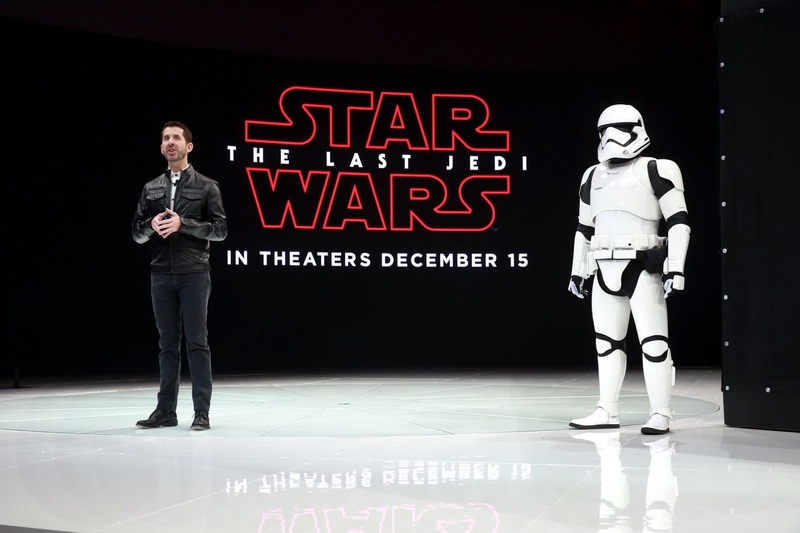 Nissan first joined forces with Lucasfilm, the production company behind Star Wars, for the release of Rogue One: A Star Wars Story, some 14 months ago. 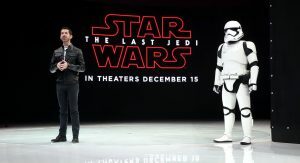 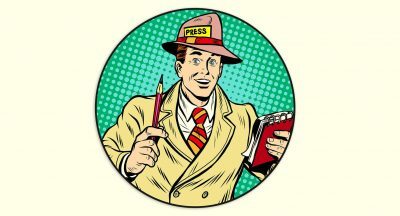 That film went on to gross in excess of $1 billion at the box office and there are high hopes that the latest film will be able to exceed the magical $1 billion mark too. 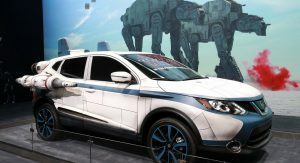 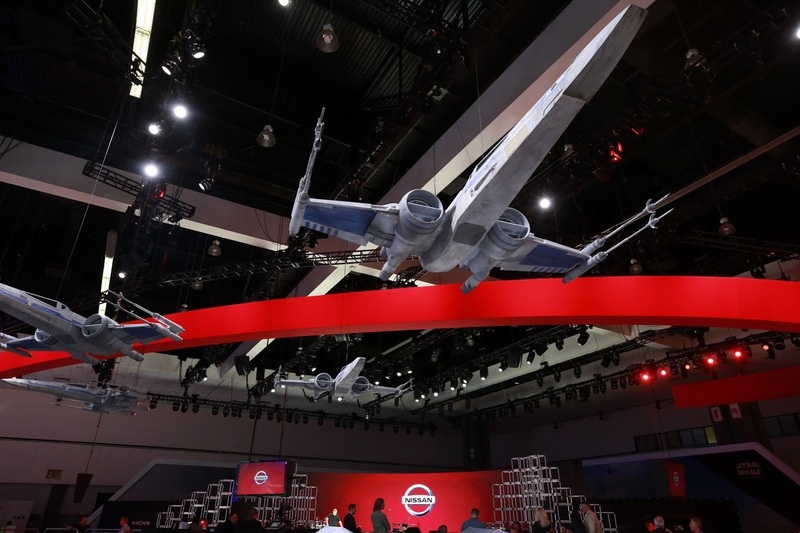 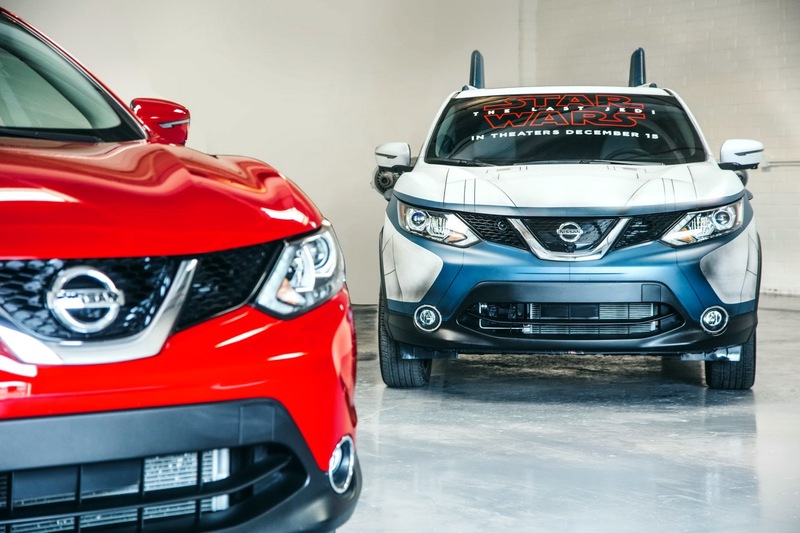 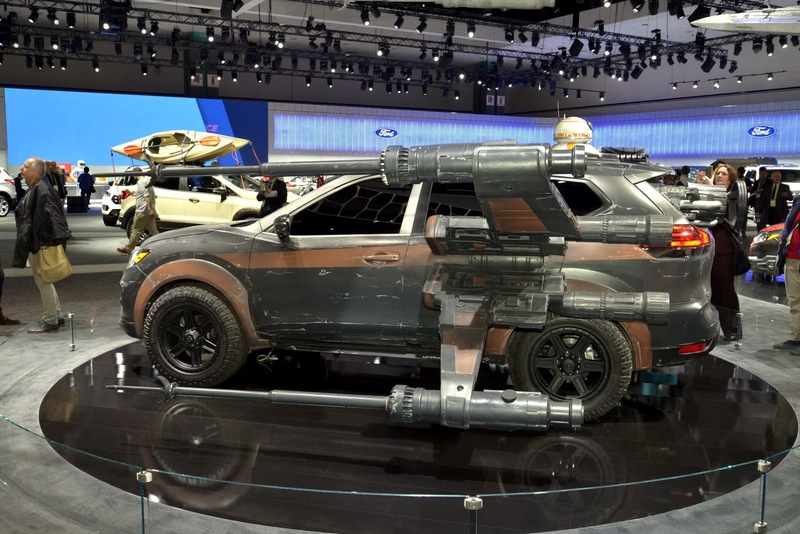 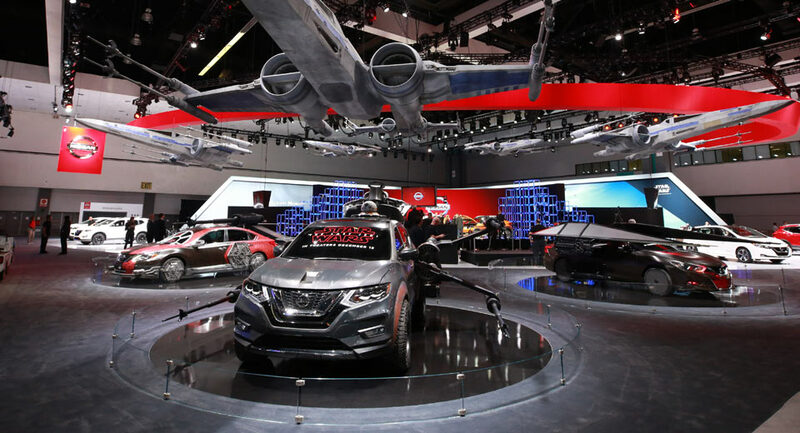 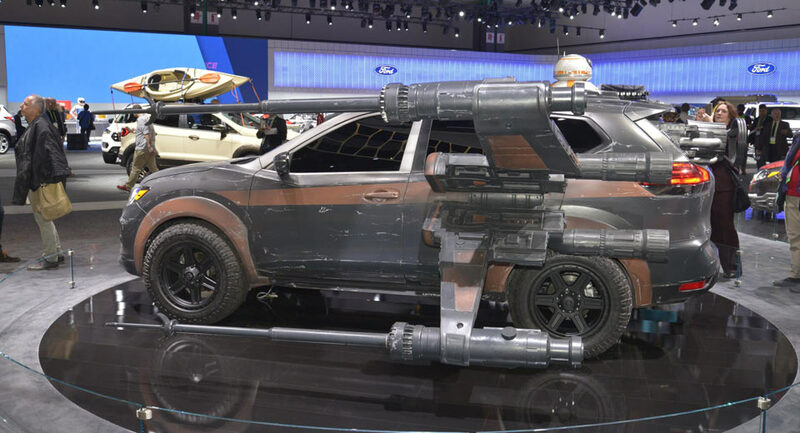 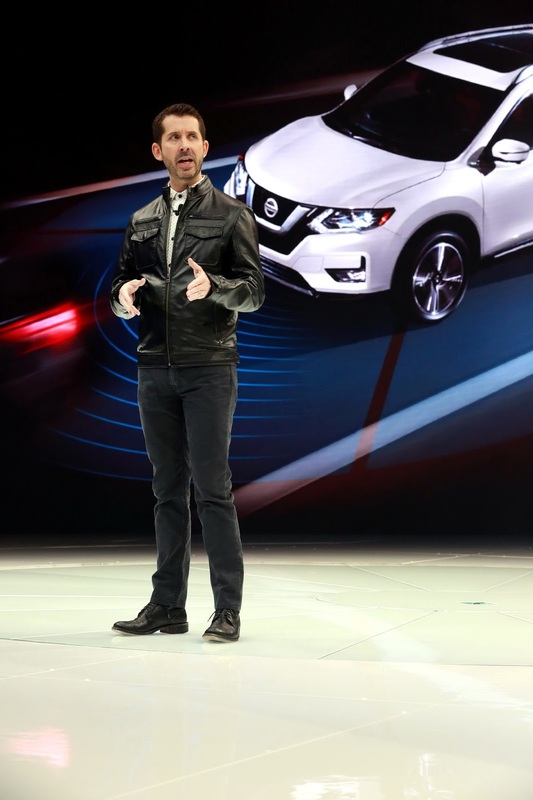 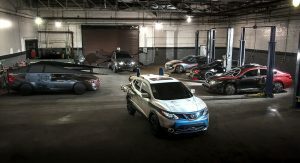 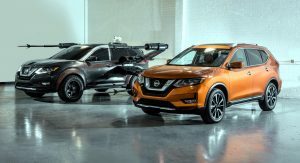 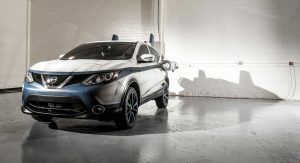 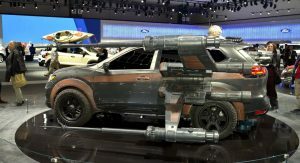 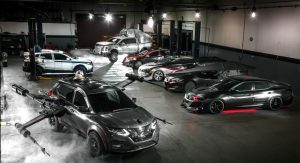 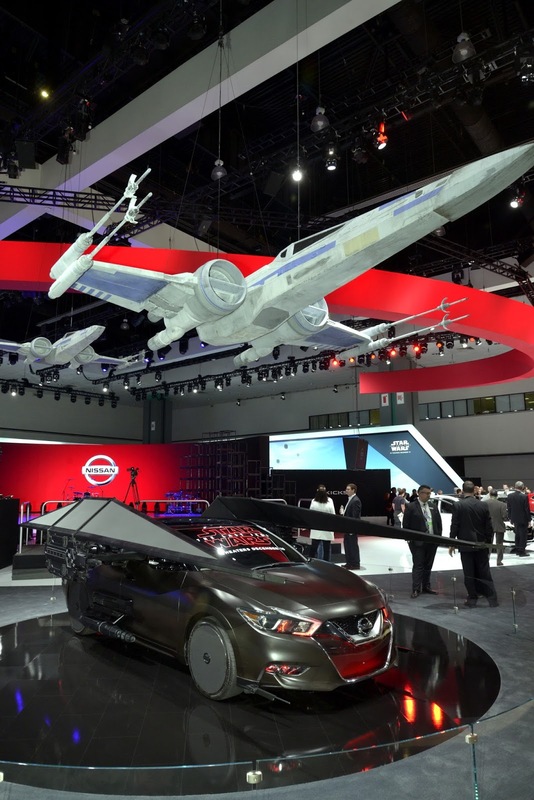 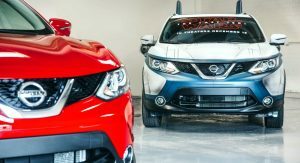 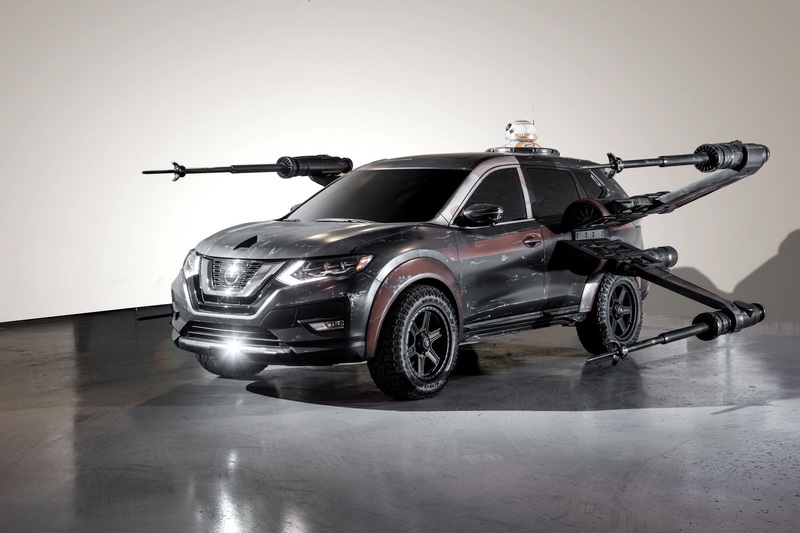 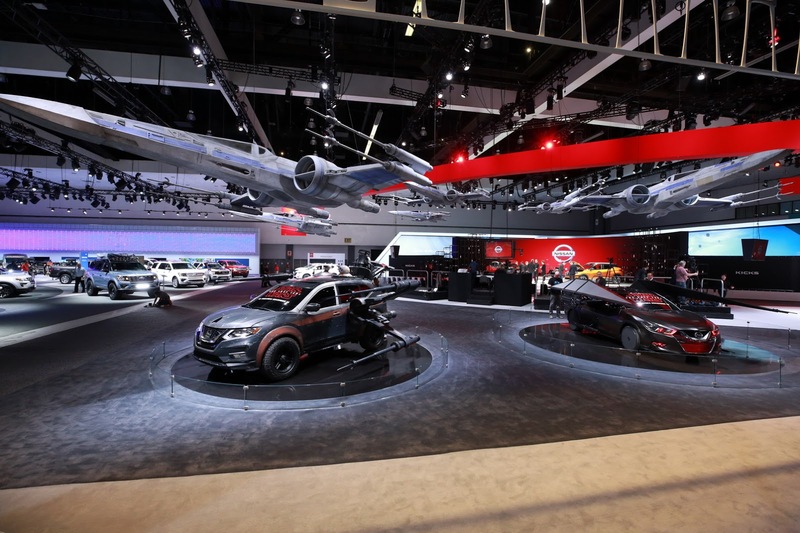 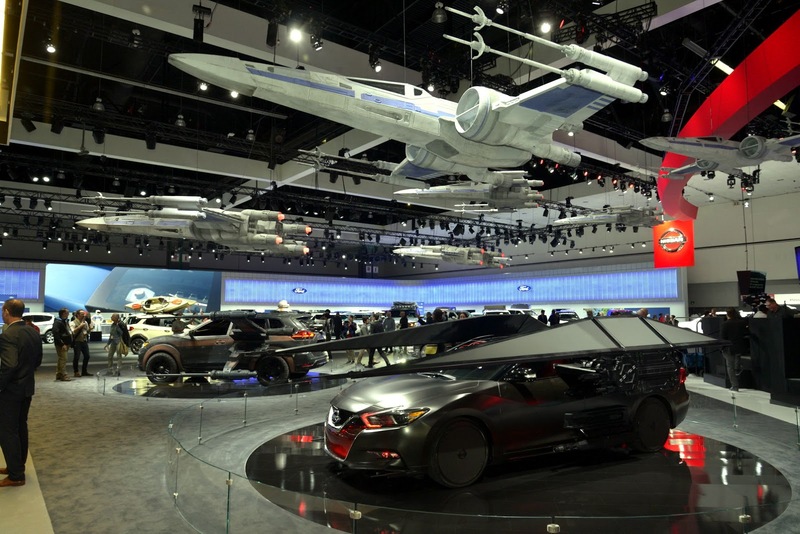 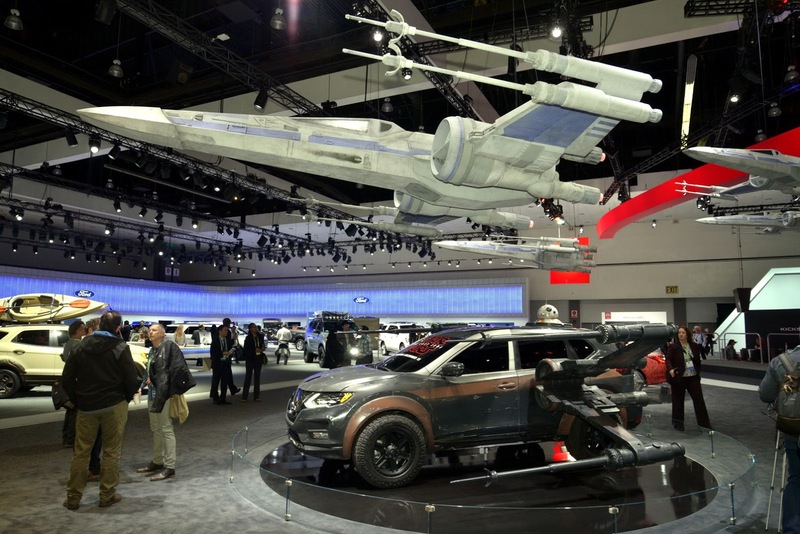 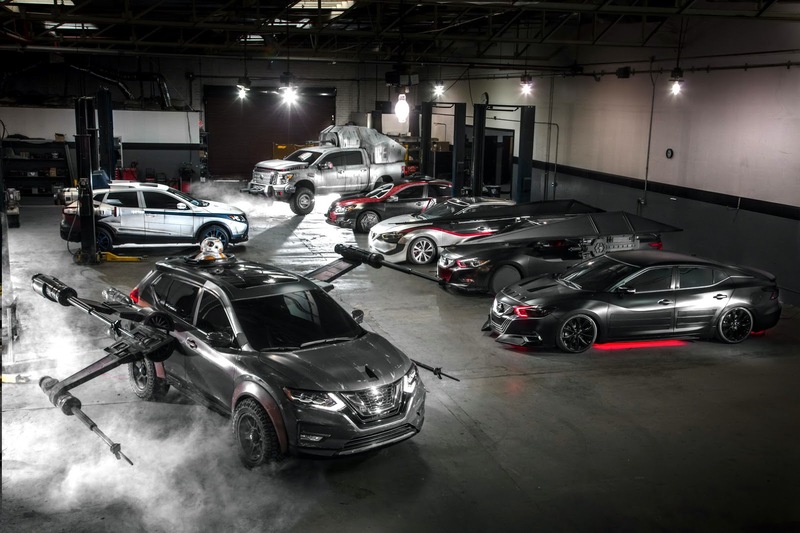 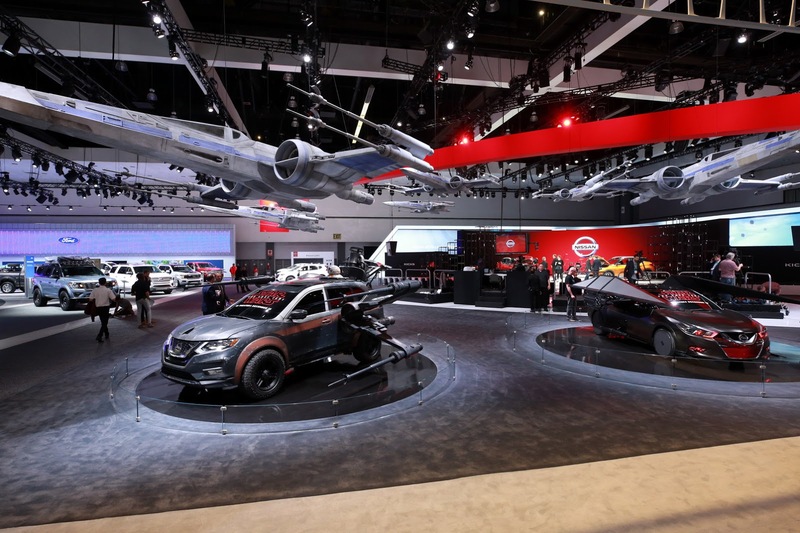 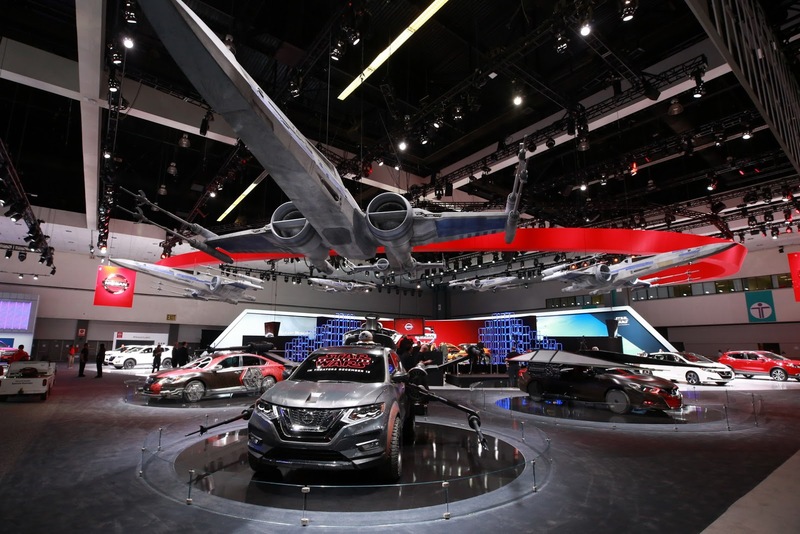 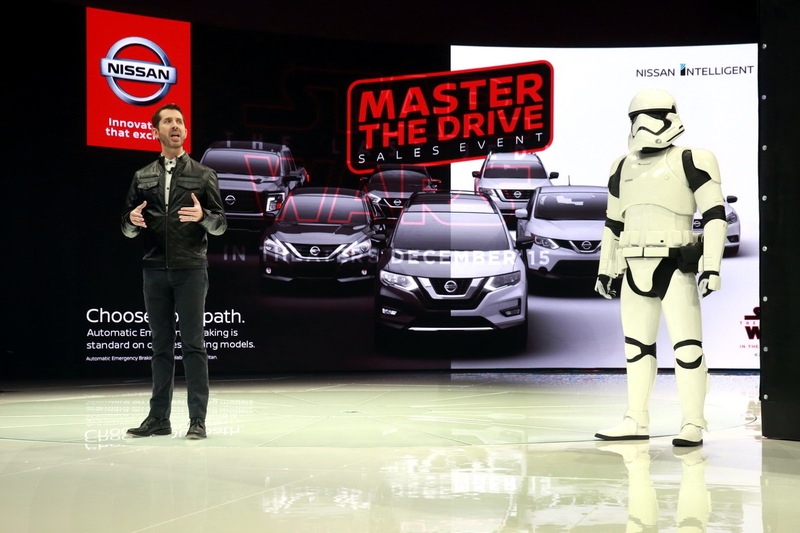 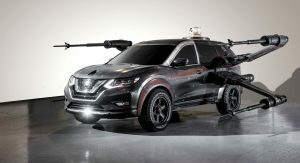 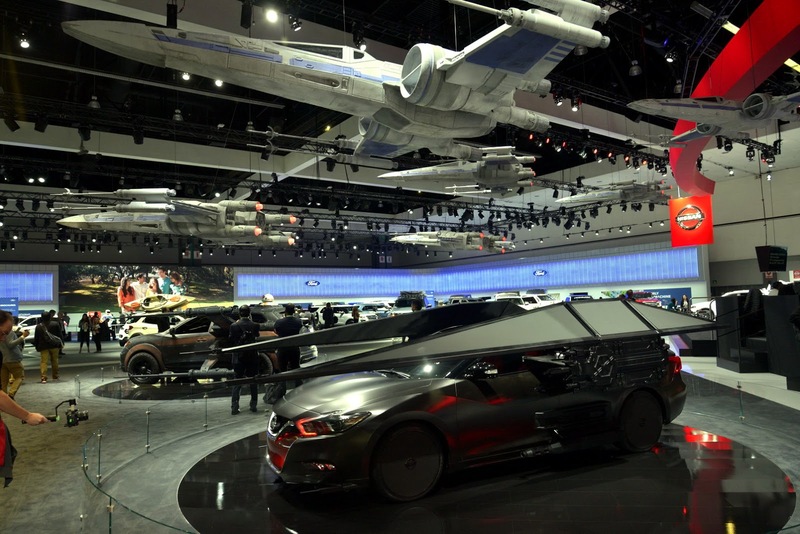 With this in mind, Nissan decided to create The Last Jedi-themed versions of the Rogue, Rogue Sport, Altima, Maxima, and Titan. 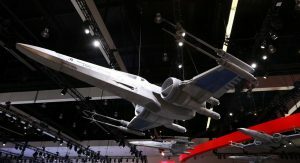 Before you ask, no, the creations won’t be offered for sale. 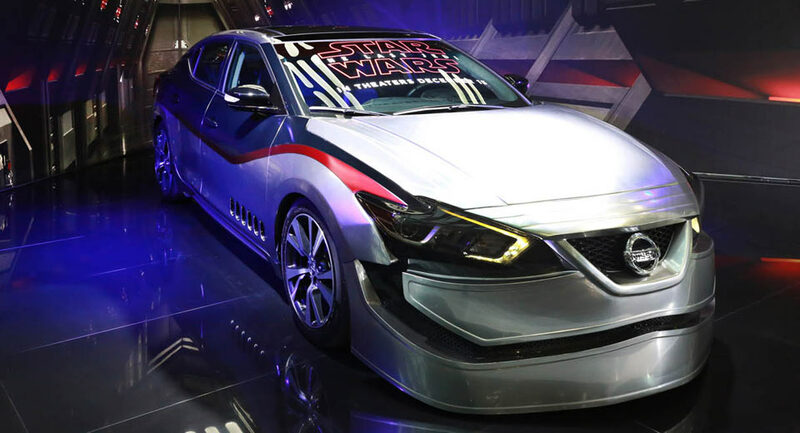 First up is a heavily-modified Altima inspired by the First Order’s elite Special Forces pilots. 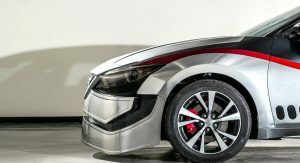 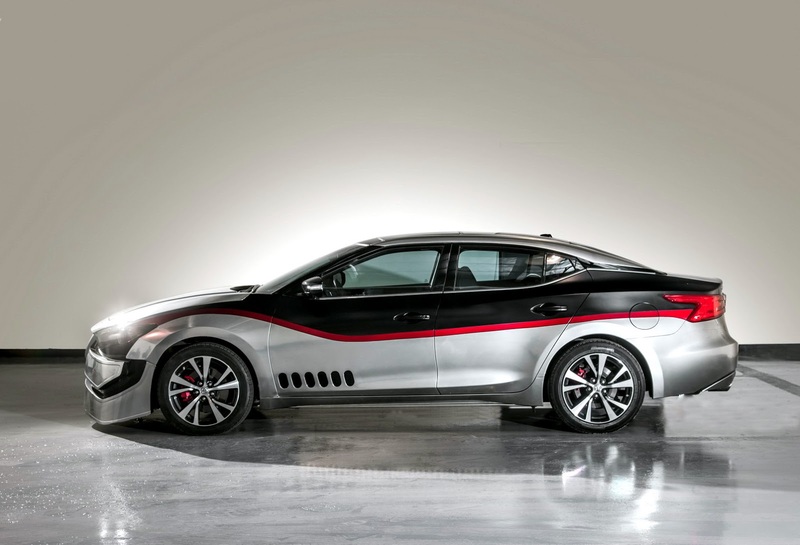 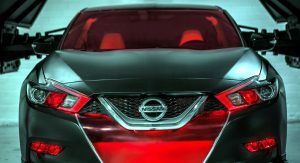 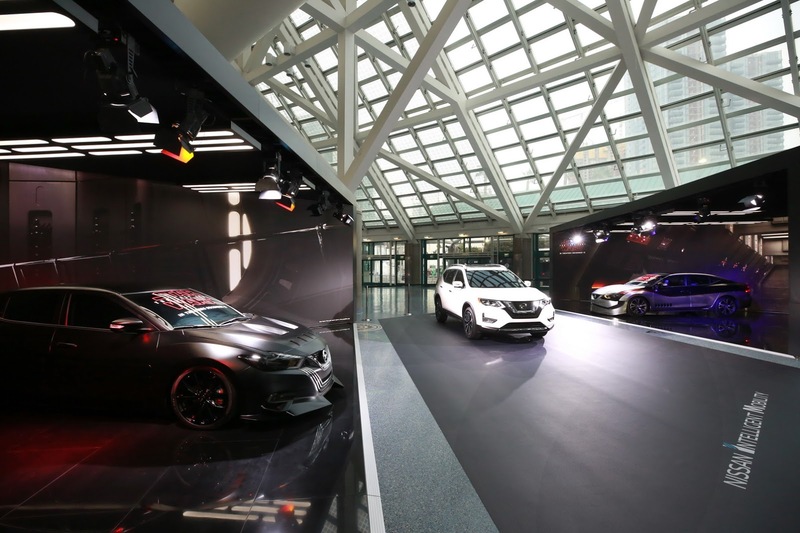 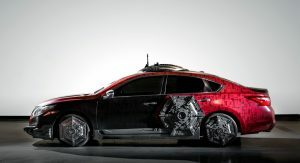 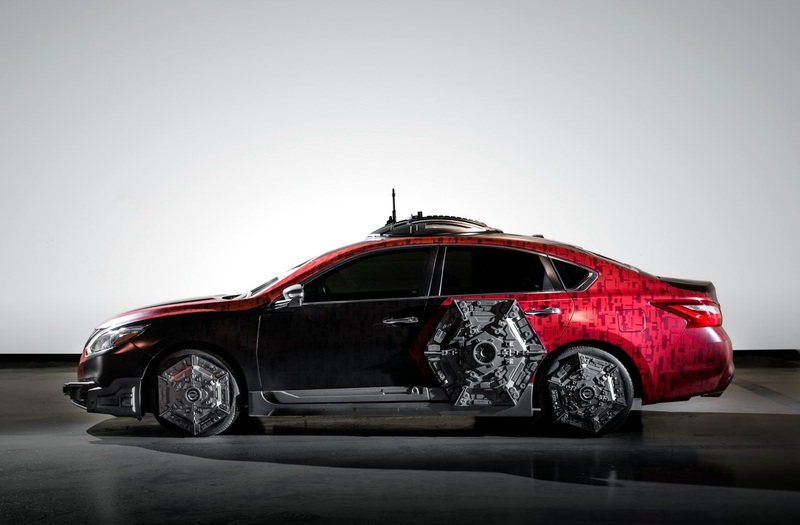 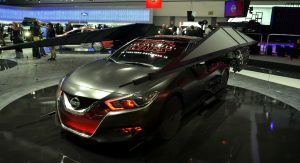 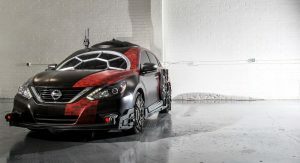 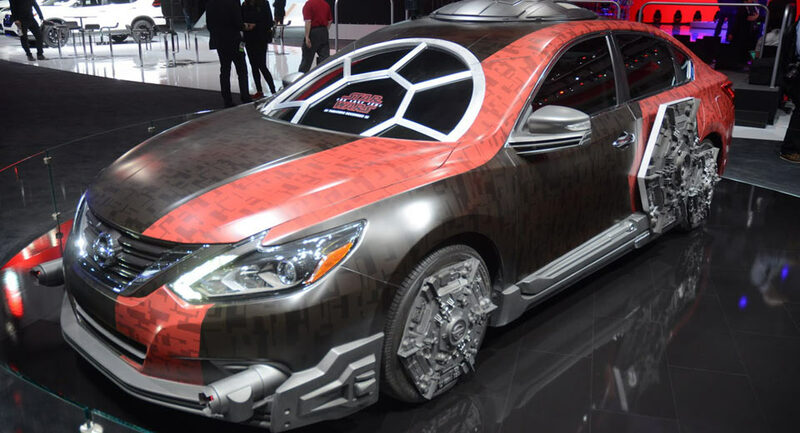 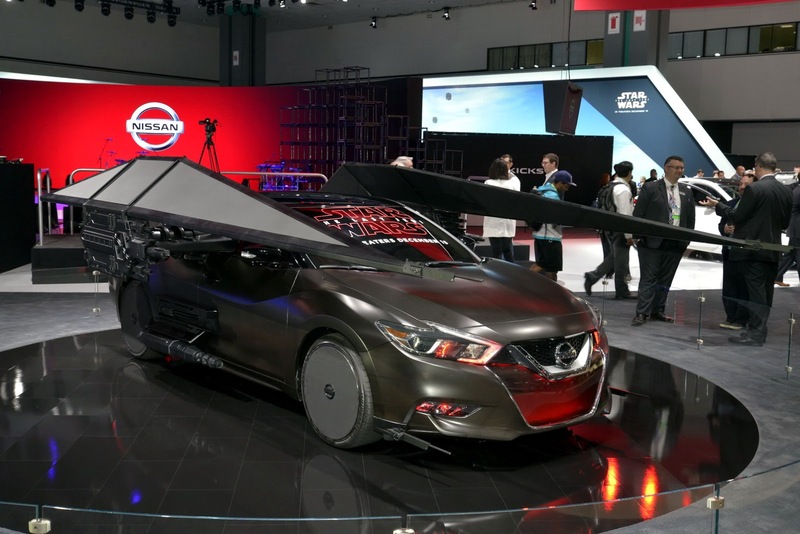 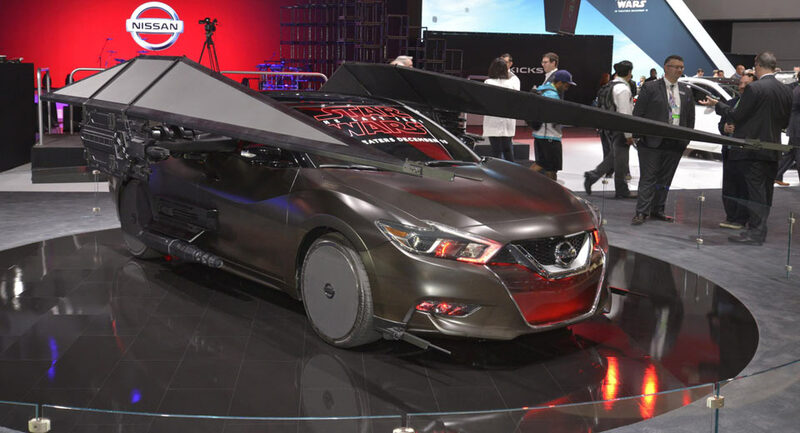 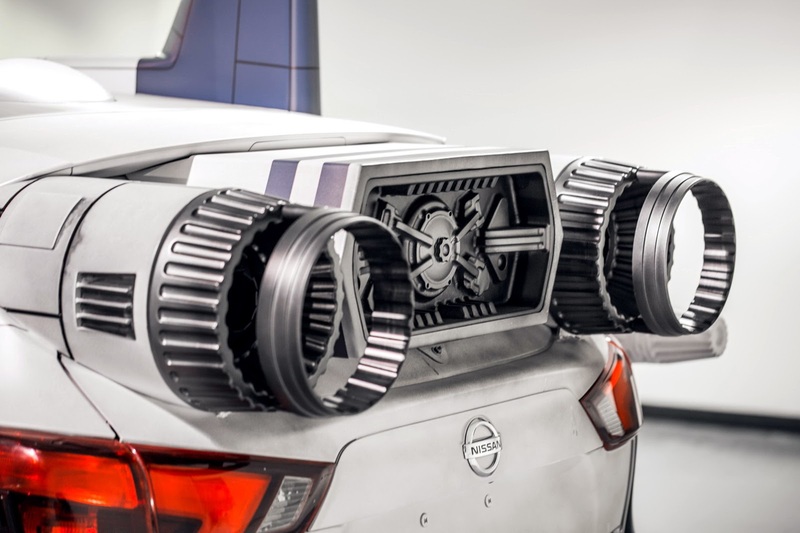 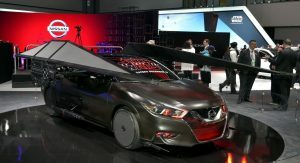 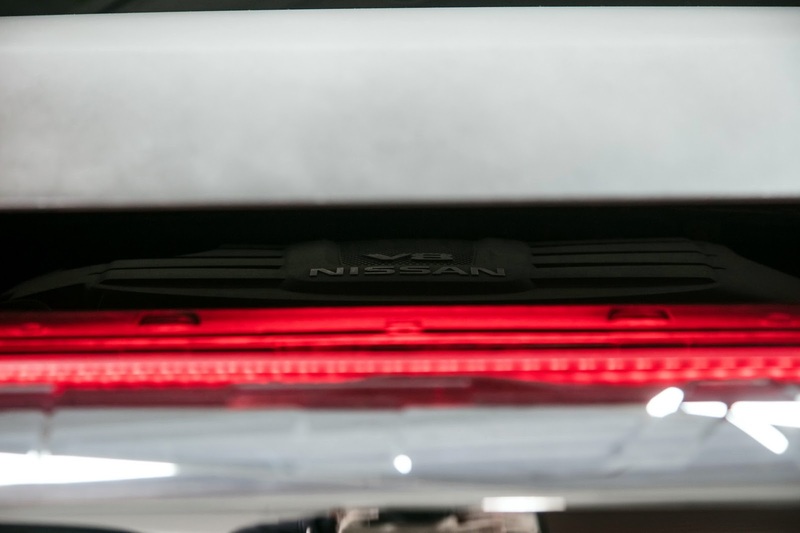 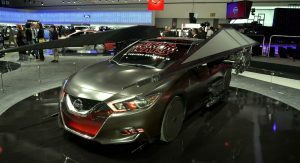 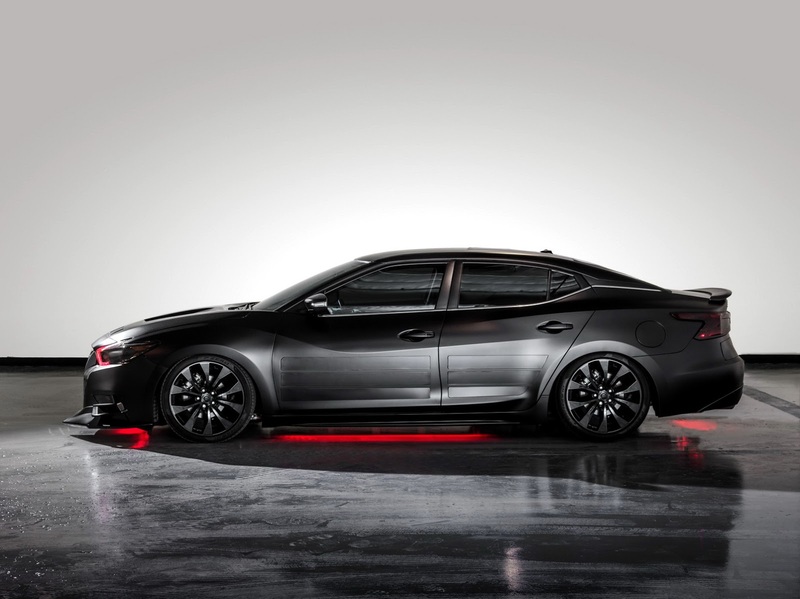 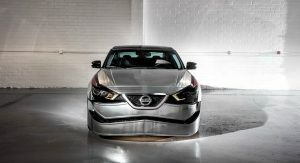 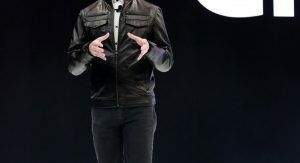 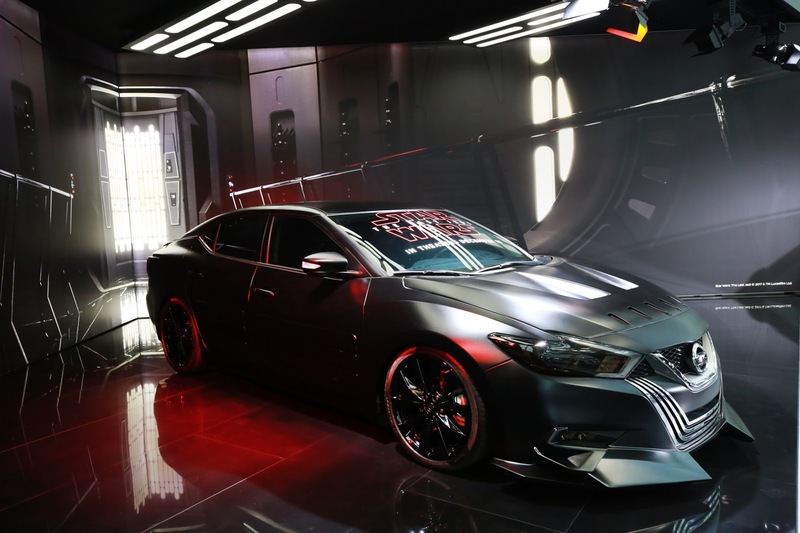 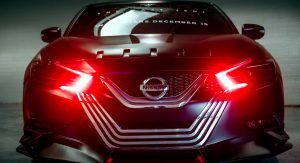 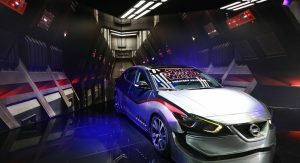 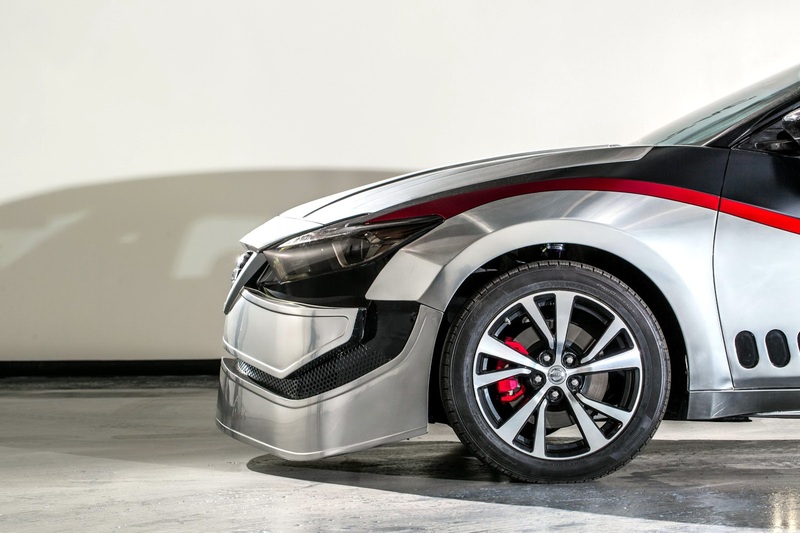 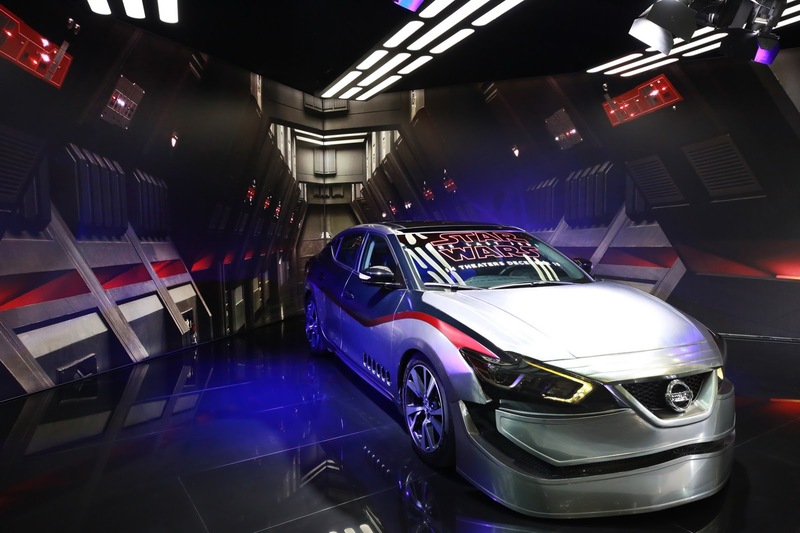 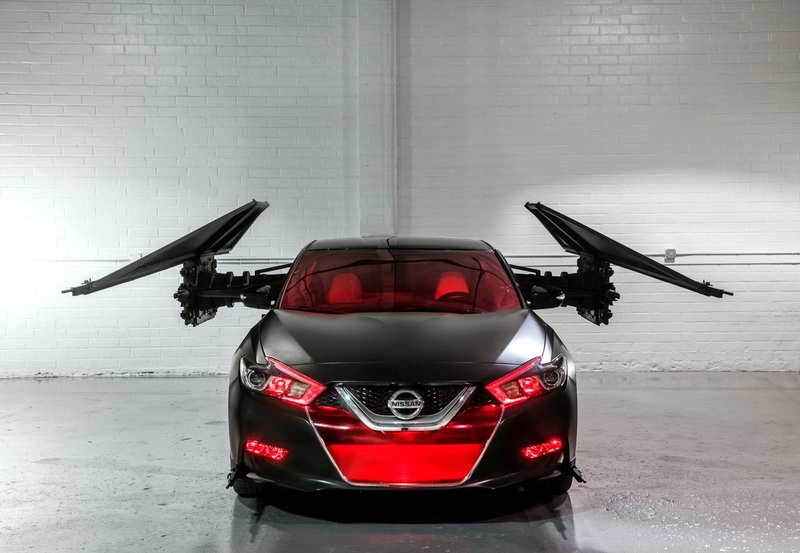 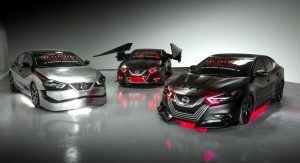 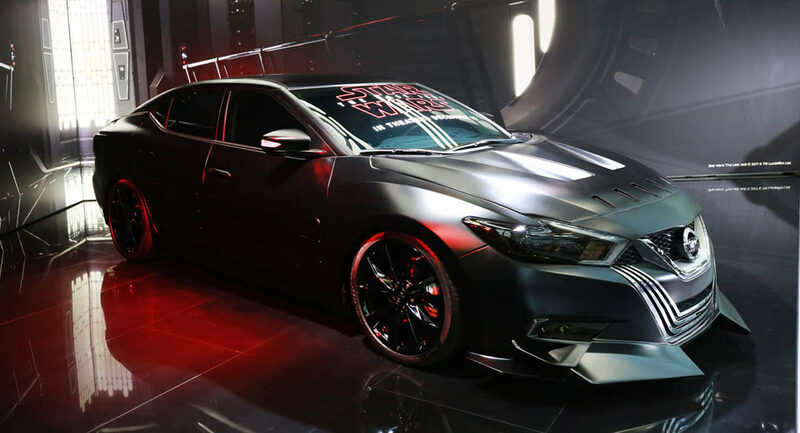 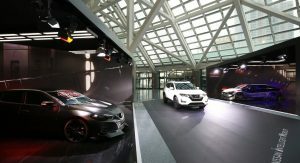 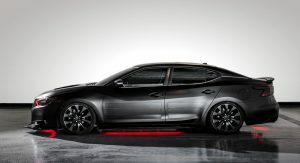 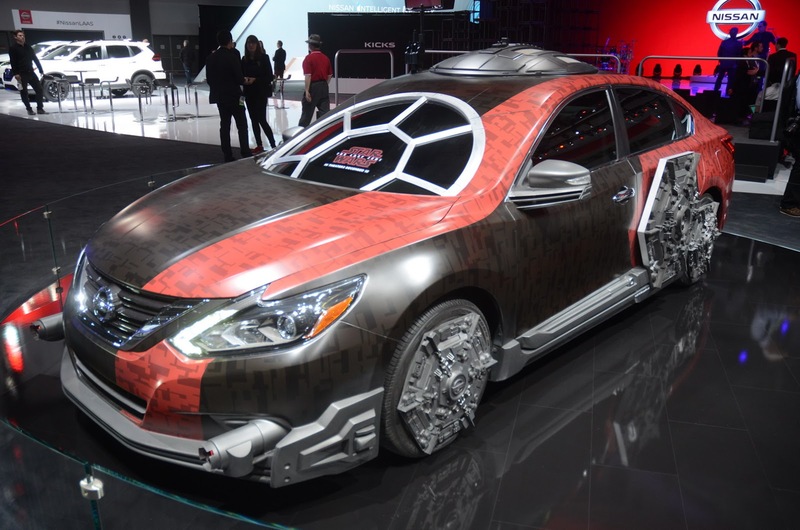 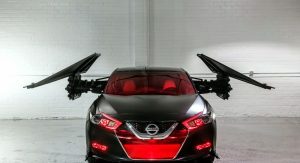 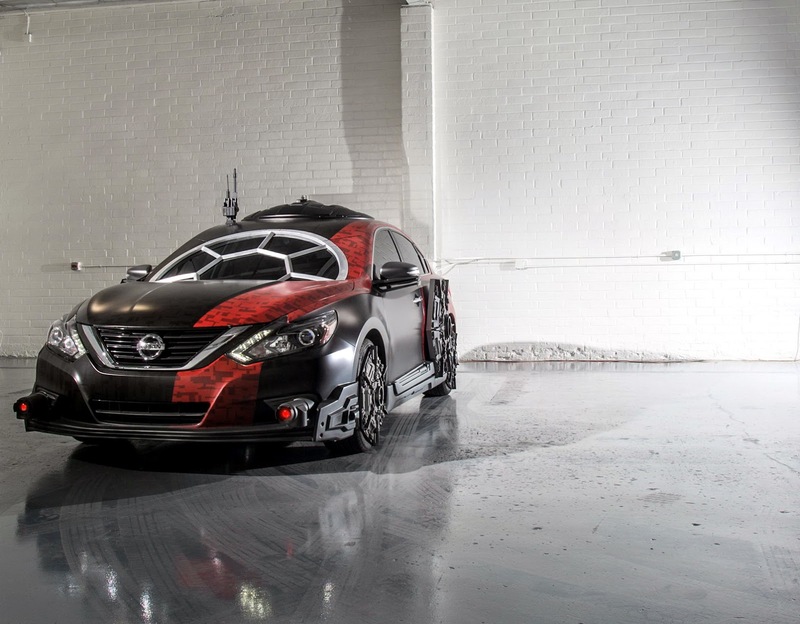 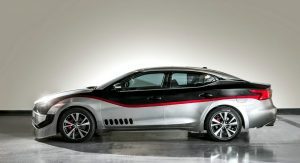 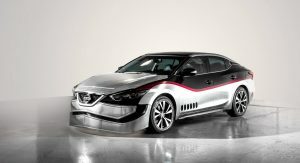 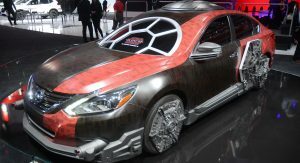 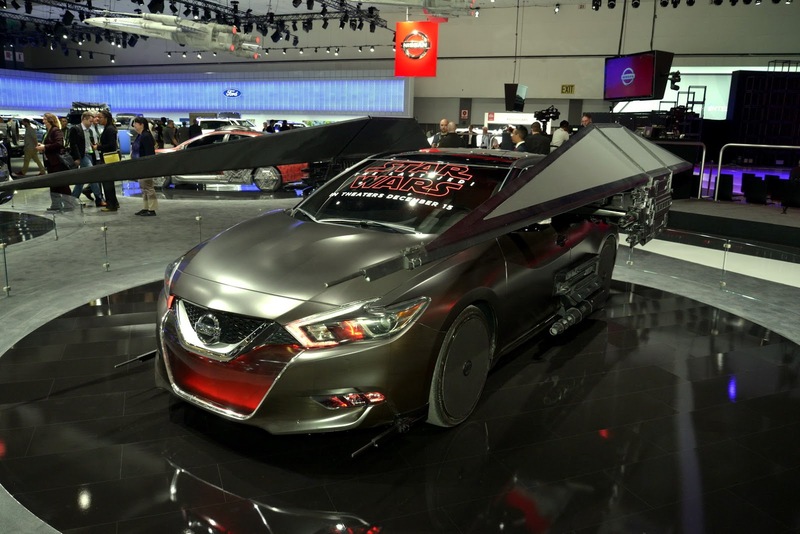 Compared to a typical Altima, the sedan stands out thanks to a matte black and red wrap, custom wheels, a windshield inspired by the Special Forces TIE Fighter, and large speakers at each corner, designed to mimic the sounds of the TIE Fighter. 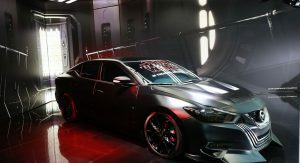 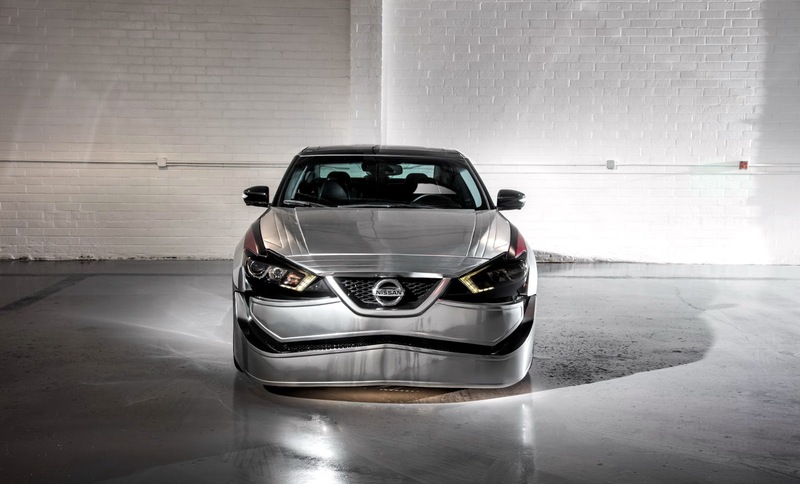 The first of three concepts based around the Maxima, the car has been inspired by Kylo Ren and therefore mimics the look of his mask with black and silver accents on the front fascia. 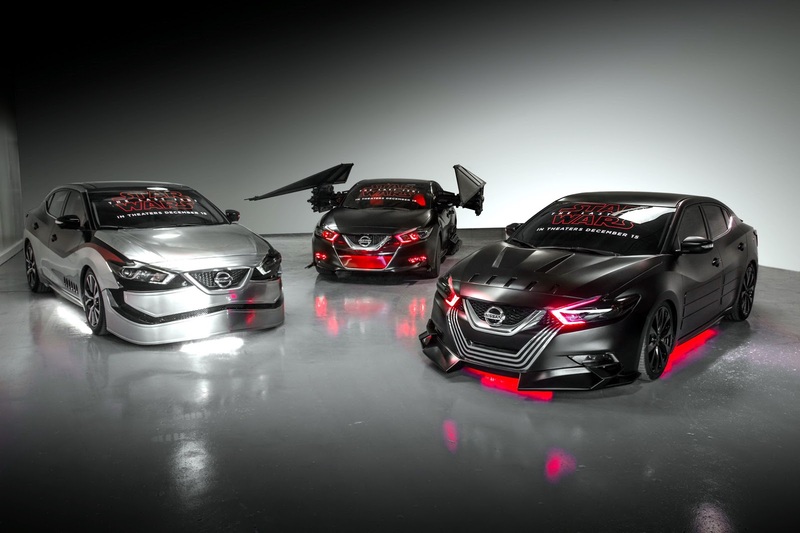 Elsewhere, the car includes red headlights, underbody lighting, and modified body panels. 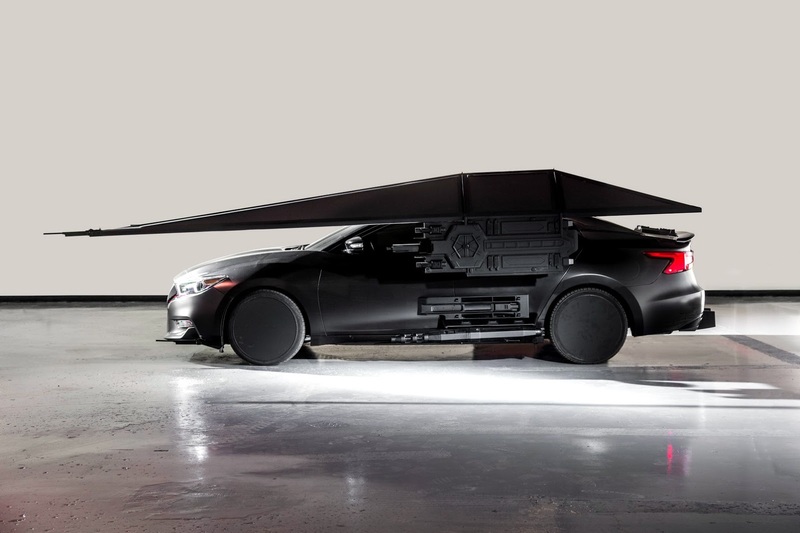 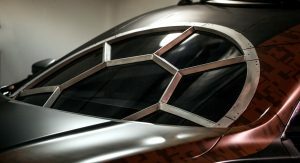 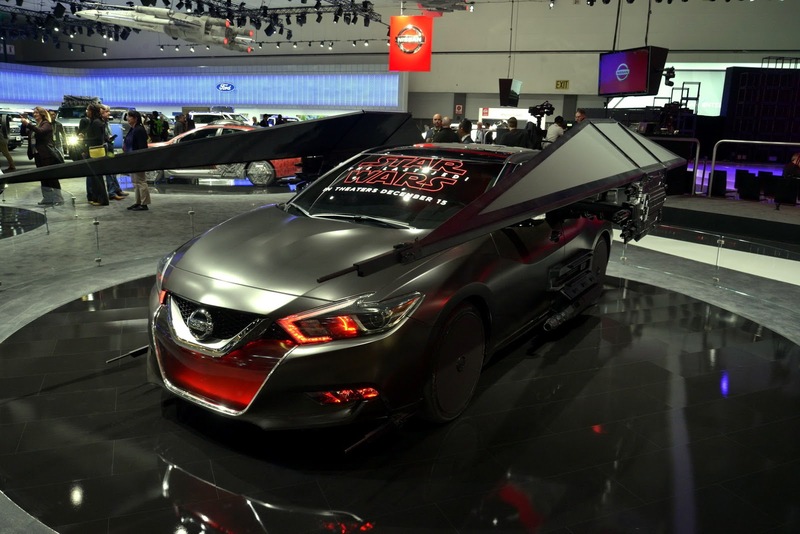 The second Maxima-based concept is also inspired by Kylo Ren, more specifically his TIE Silencer. 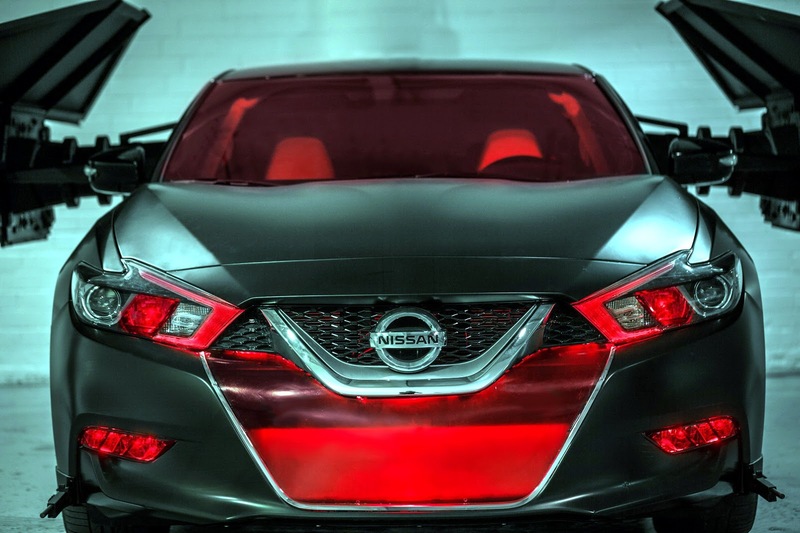 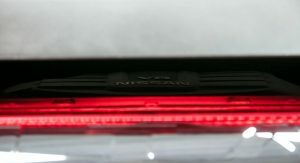 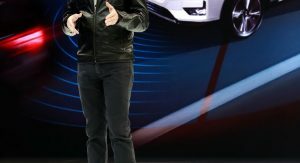 The car has been equipped with distinctive wings, red lighting on the front grille, headlights, and fog lights. 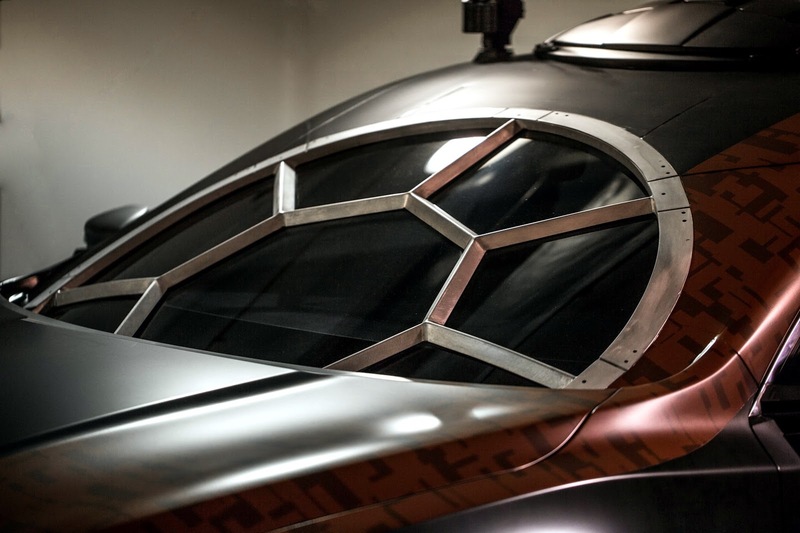 The car also produces all the characteristic sound effects of Kylo Ren’s TIE Silencer. 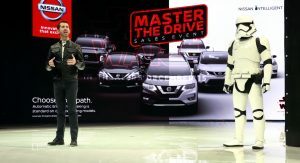 Last but not least for the Maxima concepts is the Captain Phasma variant. 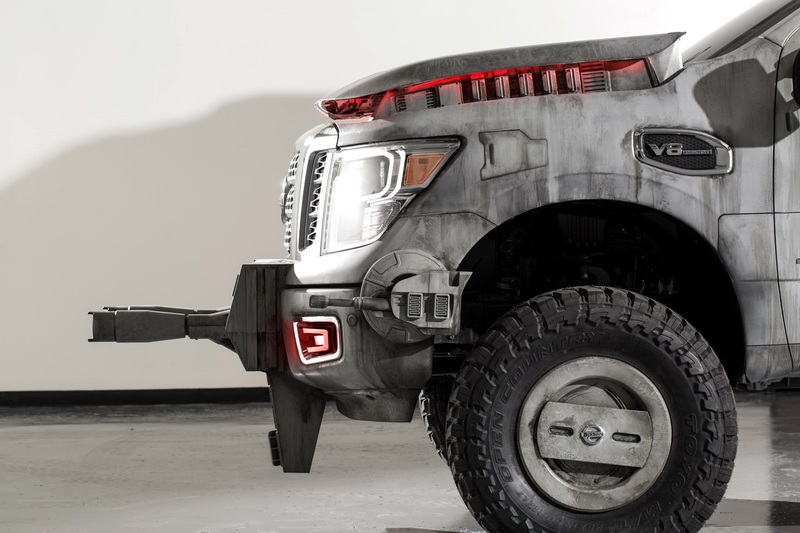 Baring a striking resemblance to the popular female character in the film, the car features silver armor across its exterior, made from aluminum. 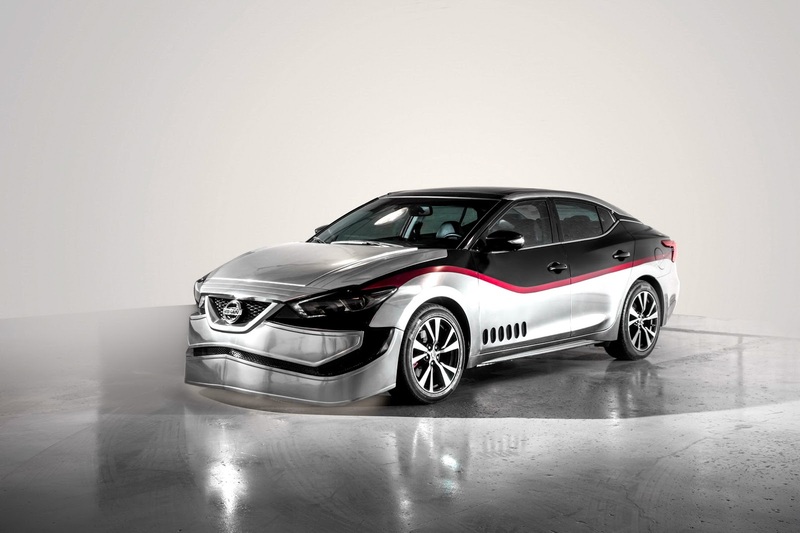 Additionally, there are red and black elements in the paint scheme. 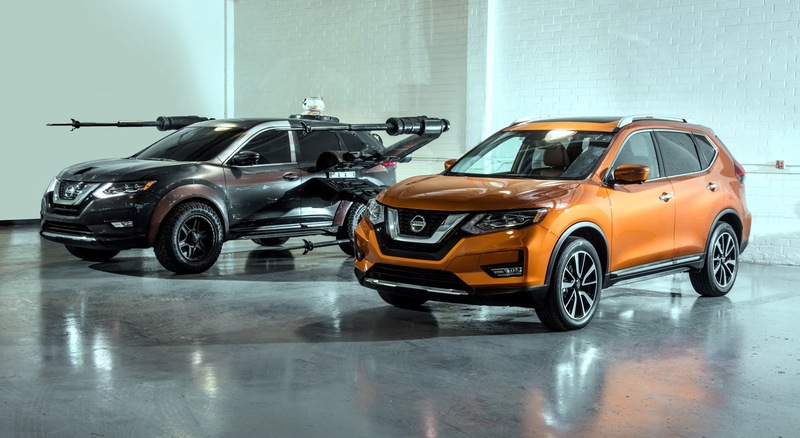 What we have hear is possibly the craziest concept of all. 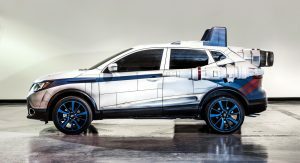 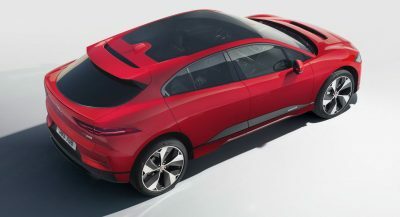 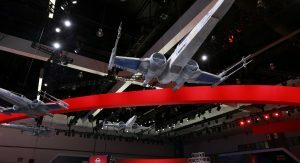 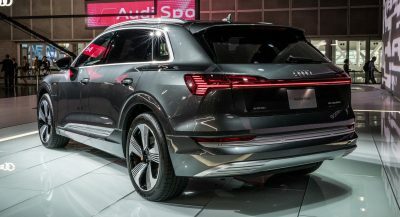 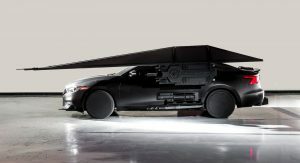 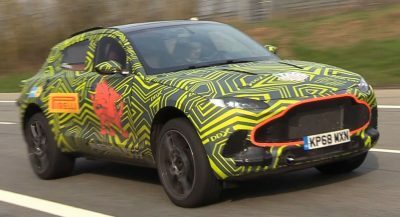 The SUV has been equipped with expansive wings on either side, as well as quad laser cannons, and illuminating thrusters. 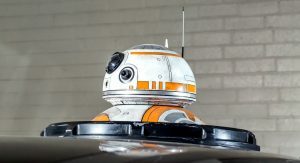 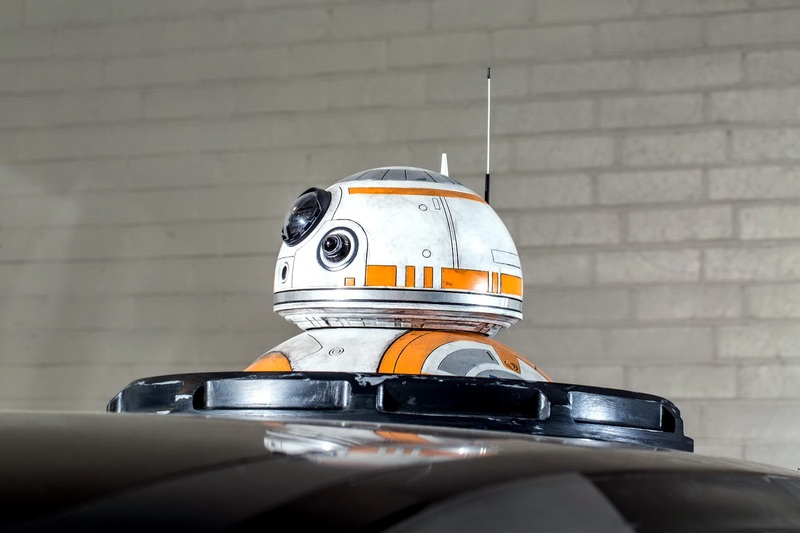 On the roof you’ll find a BB-8 astromech droid with functioning lights, motion, and sound. 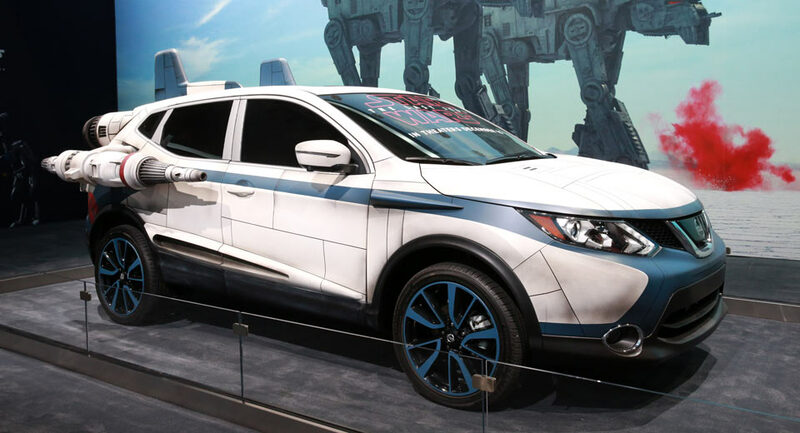 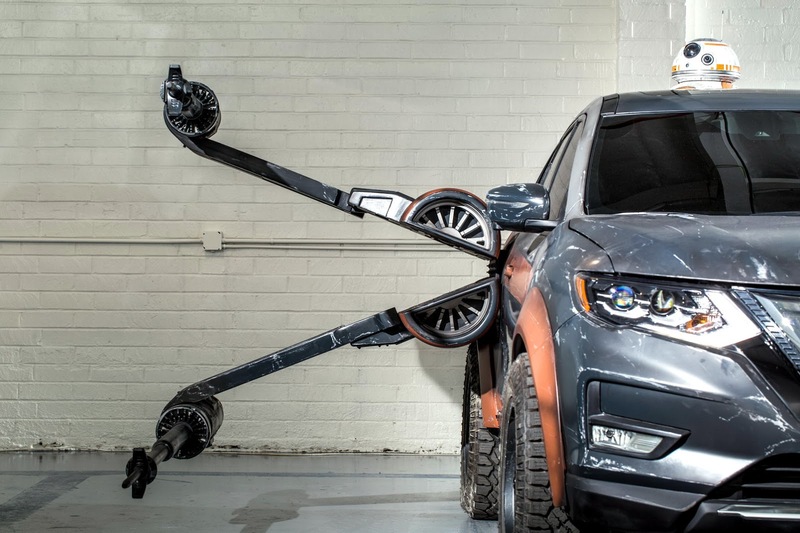 Another interesting concept is the Rogue Sport A-wing. 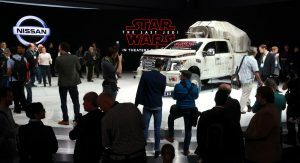 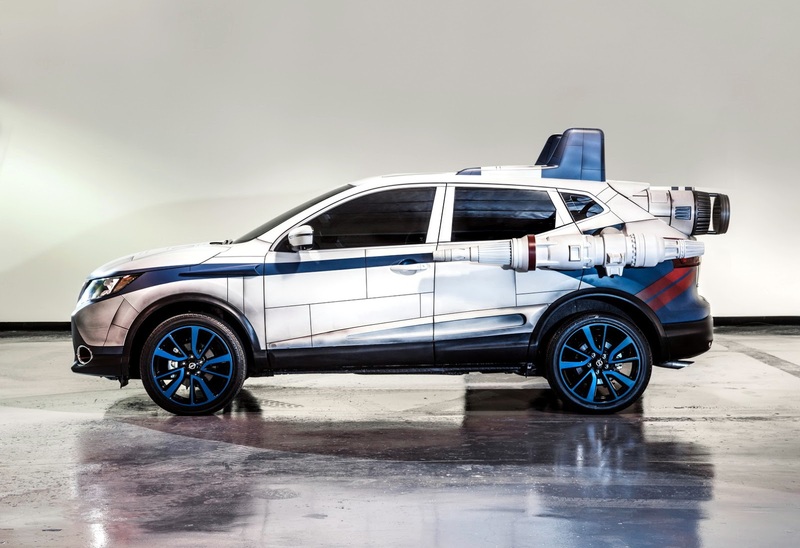 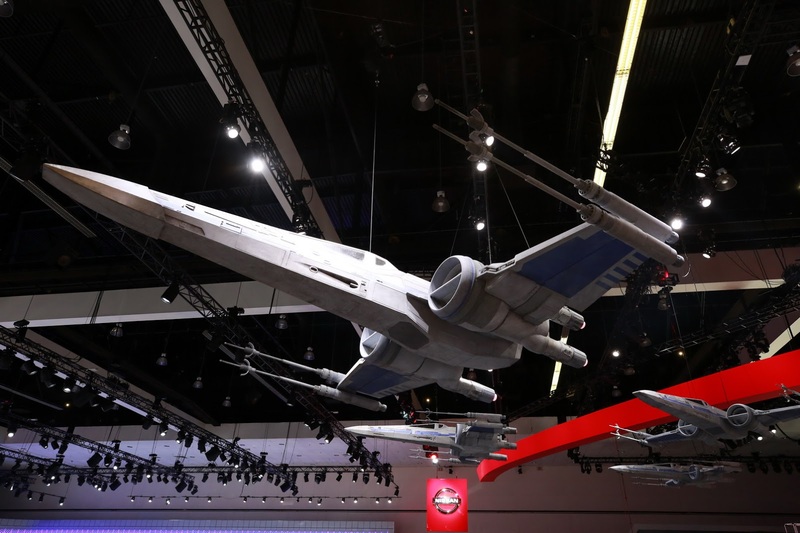 Designed to resemble the A-wing, the SUV includes faux thrusters at the rear and a set of prominent fins on the roof. 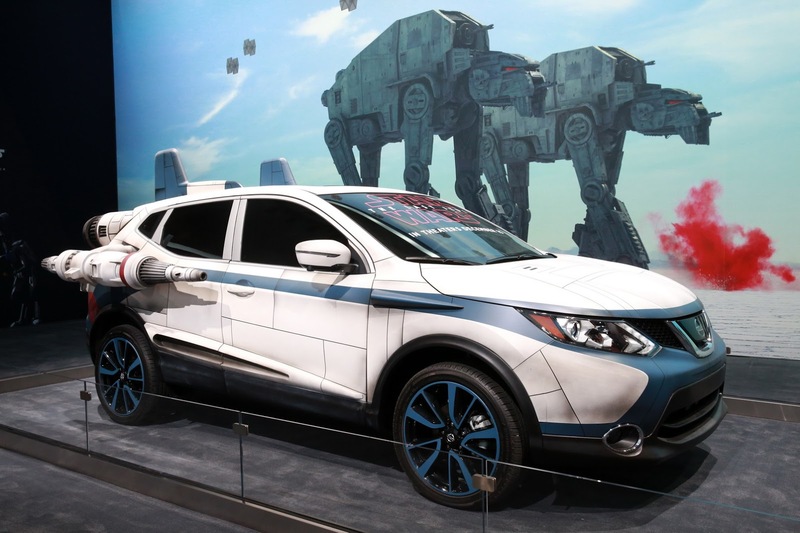 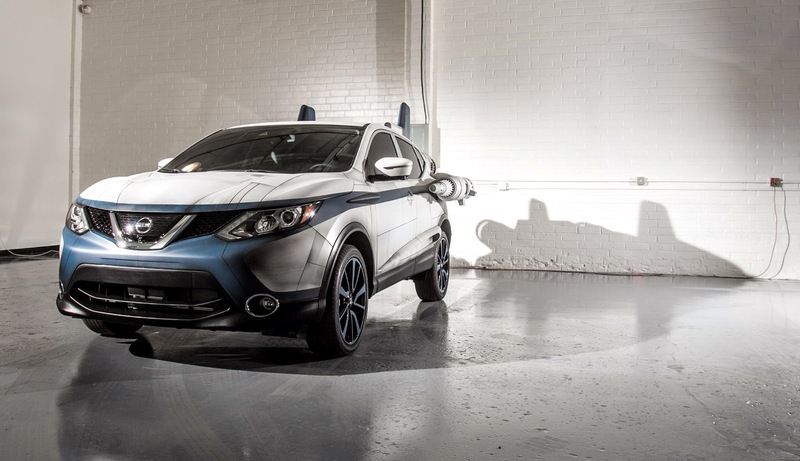 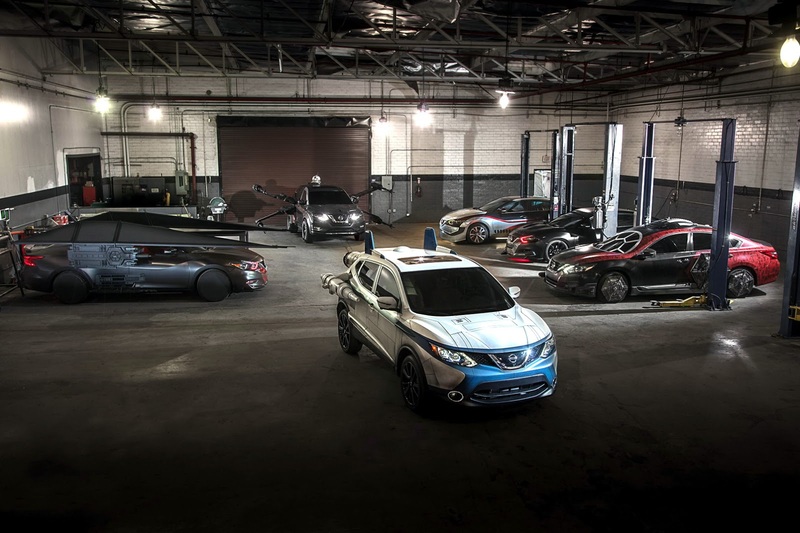 Additionally, Nissan has fitted a set of blue wheels and laser cannons. 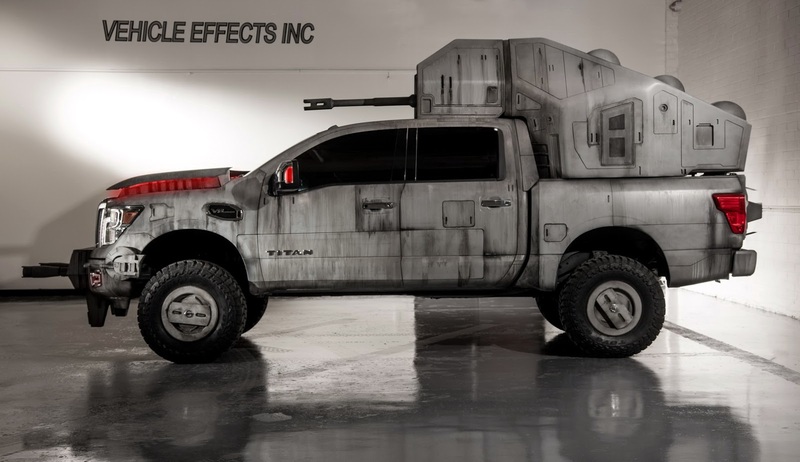 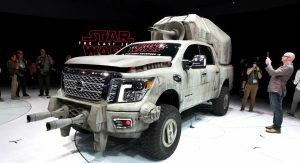 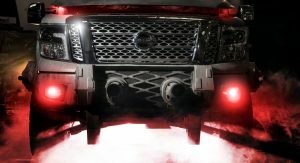 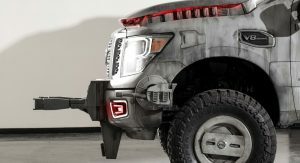 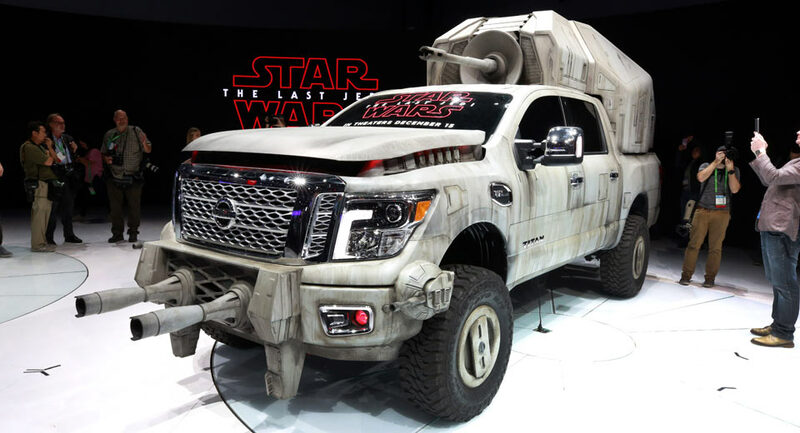 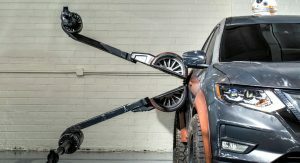 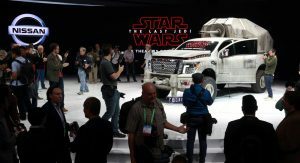 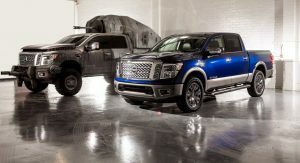 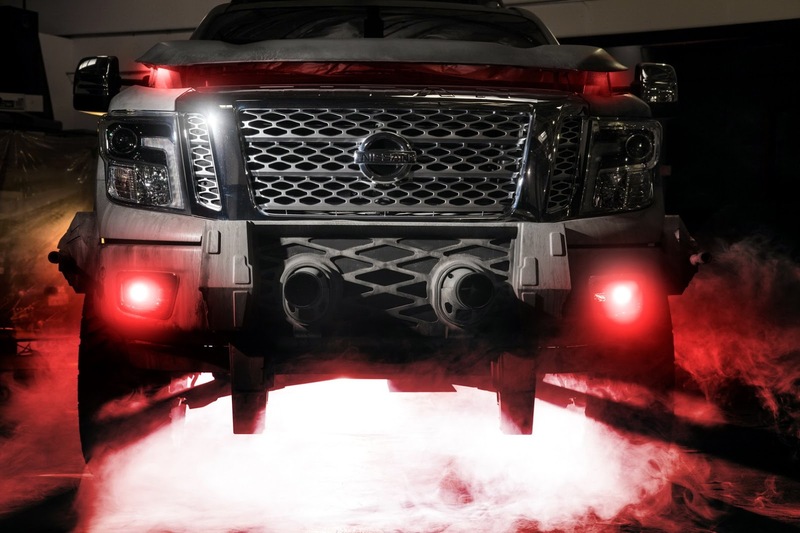 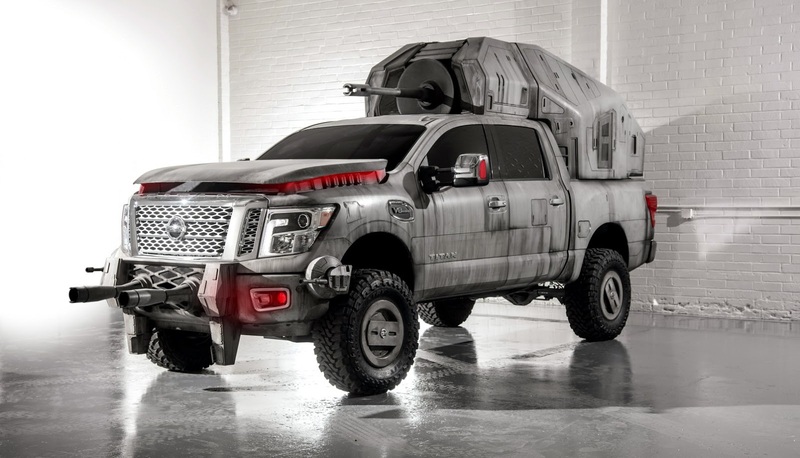 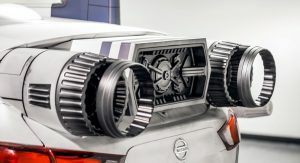 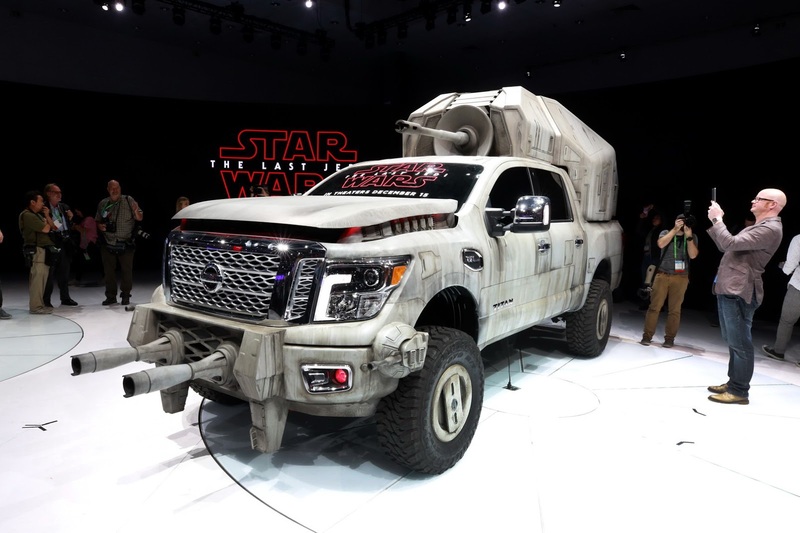 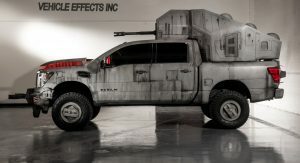 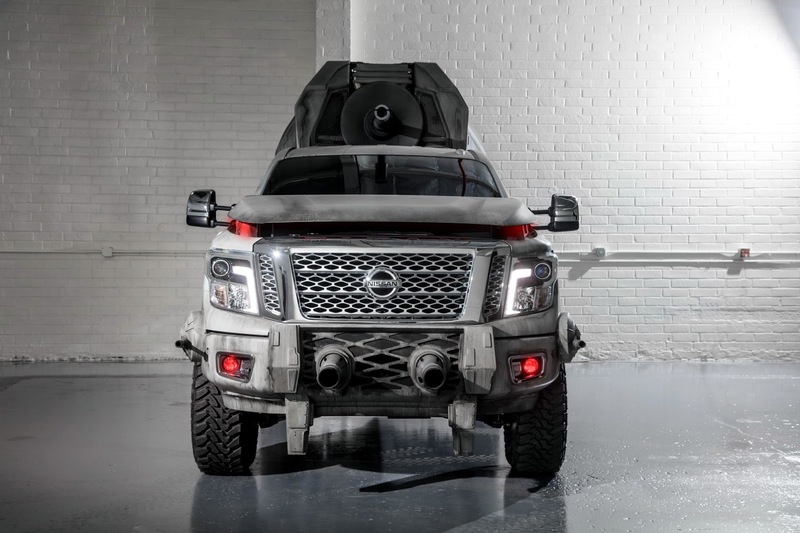 In a bid to best replicate the huge AT-M6, Nissan has used the Titan as a base, transforming the large pickup truck with a cannon in the tray and a custom body wrap. 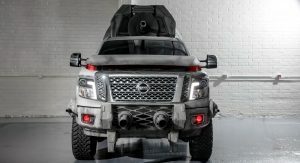 Furthermore, the pickup benefits from a 1-foot lift kit and a comprehensive sound system that includes an 18-inch subwoofer and delivers 5,000 watts of power.